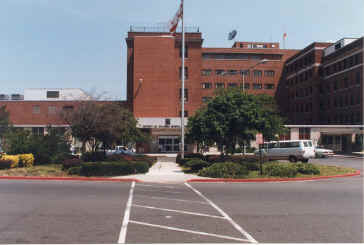 The July Term, 1999 Grand Jury, in conducting its business, voted to inquire into the operation of the Richmond County government as a whole. It was decided by the Grand Jury that the best approach to this investigation would be to interview the County Commissioners and City Administrator individually. Because the Commissioners and Administrator appeared with the County Attorney objecting to the Grand Jury's planned format for the interviews, the Commissioners and Administrator were subsequently subpoenaed to appear before the Grand Jury to be interviewed individually and under oath. Several issues were then discussed with the Commissioners and County Administrator. It appears that there is much room for improvement in the area of employment of county personnel. There is a need to update and refine the policies and practices regarding hiring, disciplining and terminating personnel. Too many county employees were hired with poor job skills and deliver marginal performances. The county currently provides training for employees who are unable to do their jobs merely to bring them up to par. Obviously taxpayer money is wasted in this ineffective and inefficient operation of county government. In the area of procurement, to include contracts, bids, and purchasing, this requires further investigation. Apparently a satisfactory system for complete accountability is not in place. Misappropriation of funds exists. The practice of commissioners or their businesses doing business with, or having the potential to do business with, persons bidding for county contracts should be absolutely forbidden. At the very least this practice gives the appearance of impropriety and, at worst, provides an opportunity for corruption. One example is the recently awarded OMI sewer contract. The Grand Jury became very concerned about the OMI contract when it was revealed that OMI was doing business with a commissioner. The Grand Jury questioned why a Colorado based sewer maintenance company would be advertising in Augusta, GA on a radio station in which a commissioner has an ownership interest; who would be the target audience of such advertising and what would be the ad content? Most importantly, how much money was paid to the station(s) from OMI? Satisfactory answers to these questions were not forthcoming. This Grand Jury suggests that this matter be further pursued by the next Grand Jury. There was also speculation of potential business by OMI with a second commissioner. Questions posed on these contracts were not responded to thoroughly or promptly and are cause for alarm and further investigation. The lack of a long-range plan causes us to wonder at the shortsightedness with which the county attempts to proceed forward. With no planned direction, much taxpayer money has been spent on various studies including the $90,000.00 space study (to date, no action taken) and the $167,000.00 efficiency study (to date, 20% action). Lack of follow-through and follow-up consistently result in continued ineffectiveness and inefficiency. The bottom line, once again, is poorly spent tax dollars. To conduct an investigation of this magnitude and depth requires more time than allowed by one current Grand Jury. It is unfortunate that the term of this Grand Jury could not be extended, and it is strongly recommended that the succeeding Grand Jury devote considerable time and attention to these matters. In conclusion, this investigation and its findings should serve as a "CITIZENS ALERT" and be a reminder to the public that the citizenry has the right, responsibility and, indeed, obligation to call our officials to task. Further, these findings should, and hopefully will, engender a renewed, or new, interest in how our county works and what our officials do. Their actions, or lack of, effect us, how we live, and how our monies are spent. Ultimately, it is up to us to hold them accountable. The September Term Grand Jury, in conducting its civil duties, voted to continue the July Term Grand Jury's probe into the conduct of the government of Augusta-Richmond County. The Grand Jury formed a committee and charged it with forming its own course of action, The committee decided to examine the areas of personnel and procurement. The committee subpoenaed witnesses and requested all relevant documents. Many issues of concern were explored, while many more were uncovered. The committees' findings and recommendations are as follows. Pension Plans: Presently, Augusta-Richmond County operates five pension plans; the 1945 plan, the 1949 plan, the 1977 plan, GMEBS, and the 1998 plan. The 1977 plan, since it covers the largest number of active employees, is of particular concern. It has been recommended to this committee that a reputable Retirement Attorney and Financial Retirement Planner should be brought in to study the ARC pension plans. The 1977 pension plan was used as a recruitment tool in the recent hiring of department heads and others. Pay Raises; The committee next looked at the issue of performance pay raises. In particular, the committee looked at the recent performance raises for the Augusta-Richmond County Fire Department. An examination of how the raises were distributed found that preferential distribution of pay raise funds to higher level administrative staff and officials. Most combat fireman who scored extremely high on their evaluations received much lower pay raises than their superiors who had much lower evaluation scores. In the Fire Department, higher administrative officials and staff received performance raises ranging from 2.5% to a maximum of 10%, while combat fireman and others at lower levels received no more than a 1.25% performance raise, even though their evaluation ratings were often higher than those who got the larger raises. It has been recommended to the committee that Human Resources be involved in the recommendation of performance pay raises and that personnel evaluations be given more weight in performance pay raises. As it stands now it appears that performance pay raises are based on favoritism and proximity to the department head, rather than on actual work performance. Ethics violations: Are ethics violations recognized? Are ethics violators punished/penalized? How often are ethics violations occurring within county government? How could an Augusta-Richmond County fire captain sell fire equipment to the county in a contract worth $23,000.00? How could an Augusta-Richmond County fire captain who sells fire equipment be allowed to be part of the specifications committee that writes specifications for such equipment that he sells and submits bids for? How could an Augusta Richmond County fire captain, with his own fire equipment business, go unnoticed, unchallenged and not be stopped by his superiors? What will be the follow-up and consequences for this fire captain, his superiors and any other persons knowledgeable of these events? Have commissioners accepted grant monies for housing projects in which they have an ownership interest? Are there commissioners obtaining grant monies for projects in which they have an ownership interest? Are commissioners entitled to benefit financially because of information, contacts or special consideration they may receive because of their commissioner status? Why does the county provide intervention for some commissioners in order to aid them in escaping certain financial obligations? Who made the decision to write off $1.24 million in bad debts for the water department? Why does the county provide intervention for some citizens concerning their water bills? Has a county commissioner perjured himself before the Grand Jury in denying ownership of specific properties? Why is the county settling a discrimination suit for $50,000.00 with an employee who has a poor work history and whose case had no support from the EEOC or from the assistant county attorney? In conclusion this committee urges that until a Special Grand Jury is convened, that the next Grand Jury and its successors pick up where we have had to stop. The "citizens alert" issued by the July Grand Jury still rings loud and clear.